Point2 Homes gives you far more than a simple list of houses for sale. Get instant access to a lot of relevant information about Beasley, Hamilton, ON real estate, including property descriptions, virtual tours, maps and photos. The search results pages also have a wealth of information on Beasley, Hamilton, ON, if you scroll all the way down. 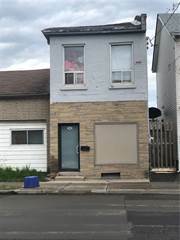 There are 17 houses for sale in Beasley, Hamilton, ON. 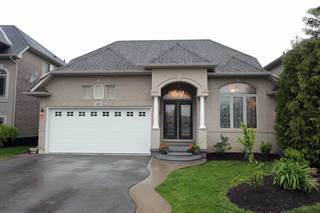 Searching homes for sale in Beasley, Hamilton, ON has never been more convenient. 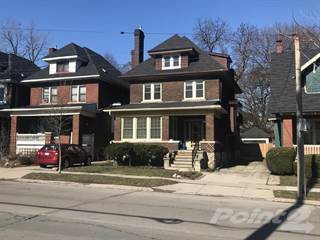 With Point2 Homes, you can easily browse through Beasley, Hamilton, ON single family homes for sale, townhomes, condos and commercial properties, and quickly get a general perspective of the real estate prices. Also, you’ll never miss a bargain if you filter listings based on house price drops in the past six months. Use the map view to find Beasley, Hamilton, ON homes and apartments for sale, based on amenities or city features that you may want close by. You can close in on a specific neighbourhood or area by simply drawing around them with the polygon or radius tools. Stay informed about the latest entries on the real estate market by saving your searches. This way, you get new listings in your inbox, daily or every week, based on your preferences. If you’d like to get in touch with a professional, agents are displayed next to their listings, and they’re easy to contact through the online forms. 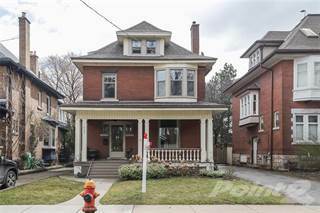 If you want more options, you can click the Tools tab and Find an Agent, and you’ll get a list of helpful and knowledgeable real estate agents in Beasley, Hamilton, ON. Visit the Point2 Homes blog and you can find up to date expert advice on many markets throughout Canada, regular market reports, neighbourhood scoops in cities throughout the provinces, real estate deals and useful recommendations. Tucked away in the city core, the Beasley community offers a selection of gorgeous Victorian-era heritage homes, as well as several modern apartment-style condos which emerged from new city development. This recently booming area is ideal for art lovers, entertainment seekers, foodies, and avid coffee drinkers. Residents are surrounded by bounteous social and professional amenities, recreation centres, and accessible transportation options. Beasley is a small downtown neighbourhood of Hamilton, Ontario located below the Niagara Escarpment, lying between James Street North to the west, Wellington Street North to the east, Main Street East to the south, and the CN Railway tracks to the north. As one of the oldest Hamilton communities and the home of City Hall, Beasley maintains a multicultural population with a hub of trendy destinations in Victorian-era buildings. Once the poorest neighbourhood in the city, Beasley underwent a tremendous transformation in the last decade. Area residents strengthened their sense of community through collaborative clean-up projects and social initiatives, which attracted several development investors. Beasley is now regarded as the arts, culture, and entertainment gem of the city, drawing in many young couples and business people to the area. From Book Crawl and Cheapies Record and Tape shop, to legal aid services and medical care, this neighbourhood seems to put endless amenities at your fingertips. Beasley offers many artistic institutions that are cherished by local residents as well as visitors. Founded in 1914, The Art Gallery of Hamilton is the largest and oldest public gallery in southwestern Ontario. The gallery holds rotating exhibitions of fine art, and is open six days a week, with admission costs free of charge on Floor 2, though it charges a small fee for the remaining sections of the gallery. Tours, film nights, and other events are frequent as well. Factory Media Centre, located on James Street North, is a not-for-profit artist-driven resource centre for those with a passion for independent film, video, and other forms of digital media and technology. Down the street, Hamilton Artists Inc. works to maintain a bilingual contemporary art institution featuring new regular submissions in addition to showcasing Canadian Indigenous short films. James Street North is also the location of independent boutiques such as clothing, jewellery and accessories store White Elephant, and the workshop-meets-shop Needlework. On the corner, Mulberry Coffeehouse is one of the many unique cafes with fair-trade organic coffee, house baked goods, live music and local art displays. Some of the most popular places to eat on this street are Jack and Lois, featured on You Gotta Eat Here! ; Mesa, with authentic Mexican cuisine; Mediterranean cuisine at Lake Road Restaurant; and Green Bar vegan eatery. For live-performance shows, Theatre Aquarius and Dofasco Centre for the Arts is recognized as a leader in Canadian theatre. It holds fully-equipped performance and rehearsal spaces, a two-story glass-encased lobby, and an upscale Directors Lounge. Acting as Hamilton’s professional theatre, both famous and locally developed performances are showcased. For grocery needs, The Hamilton Farmers Market, established in 1837, is open year-round with over 60 vendors. Local and international foods are available, from baked goods, produce and flowers, to meat and seafood – all dietary preferences and concerns are accommodated. 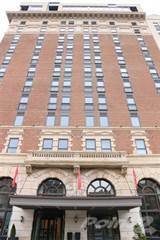 According to a City of Hamilton Census the permanent resident population of Beasley is 5,630, which is over half the total population of the downtown city core. Beasley is comprised of many heritage homes; however, most residents choose renting over buying, with apartment and condo-style buildings the most popular housing options. Beasley is an affordable neighbourhood and has a high population of children and young adults compared to the rest of the city and a relatively low population of seniors. Environment Hamilton implemented an air-quality improvement program to decrease the amount of cars on the road, and increase pedestrian and bike travel, as well as beginning tree-planting initiatives. There is some noise pollution in this area due to the popularity of this downtown community. The most common crimes in Beasley are nonviolent, being grand-theft auto and residential break and enter. Richard Beasley Elementary and Hess Street Elementary are the schools that children in Kindergarten to Grade 8 typically attend. For high school education, Sir John A. Macdonald Secondary is the prominent catchment public school for this area. For post-secondary education, Mohawk College and McMaster University are just a 15 minute drive from the downtown core. Both these institutions are highly ranked in their applicable provincial and national sectors. Hamilton Street Railway (HSR) runs from 5:00 am – 1:00 am, with fares at $3.00/ride for an adult. The HSR public transportation system accepts cash, passes, and Presto. Residents have access to all bus routes, including transfers to nearby communities. Coach Canada and Greyhound Bus are both intercity traveling options available here. VIA Railway is another option for both intercity and national travel. The year-round Theatre School run by Theatre Aquarius is a respected training ground for actors, singers, and dancers. Students develop discipline and necessary skills along with their individual creativity through a collaborative production that is put on stage at the end of the programme. Many students who complete this course move onto professional careers in New York, Los Angeles, and Toronto. FitBarre on Main Street East combines ballet technique with yoga and Pilates for an intensive yet inspirational group workout. On Wilson Street, the Beasley Community Centre offers a variety of recreation opportunities for youth, parents, and seniors. Every second Friday of the month, James Street North hosts an Art Crawl where all galleries and studios have their new openings and displays out on the same night. This event highlights local fashion, film, and traditional artforms, in addition to live musical performances. Once a year in September, Art Crawl gets amped up into a weekend-long arts-music-fashion festival called SuperCrawl, an event which attracts regional and international talent and thousands of attendees, including hundreds of families. Admission is free of cost, and there are diverse shows to entertain young children, teenagers, couples, families and seniors alike. 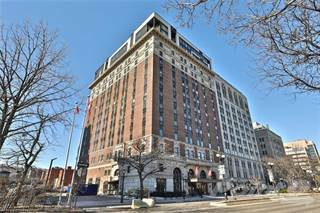 Read more about living in Hamilton, Ontario.